I had just gotten back from a run and Novak was swinging by to drop something off. She mentioned that she was going out for beers with our friend Rob. I promptly invited myself, rinsed, changed, and was out the door in less then 15 min. We headed to Rhodeside Grill which is within walking distance of her place, so it was quite convenient. They had a surprisingly decent beer menu! 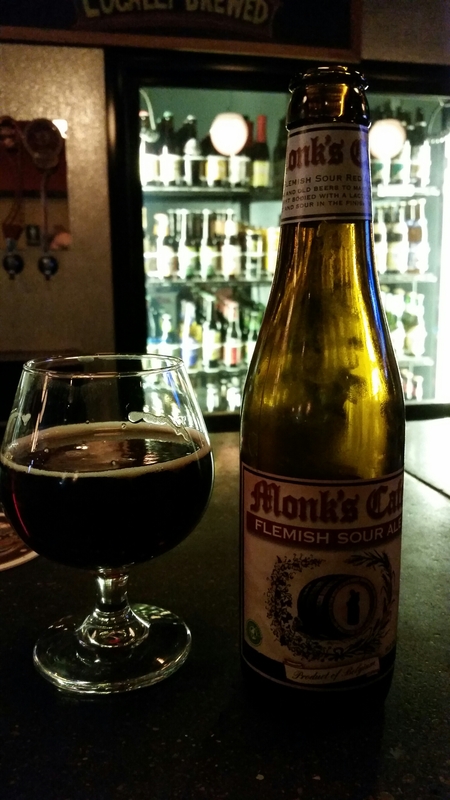 I got the Monk’s Café Flemish Sour Ale by Brouwerij van Steenberge of Ertvelde, Belgium at 5.5% abv. Always a good choice. 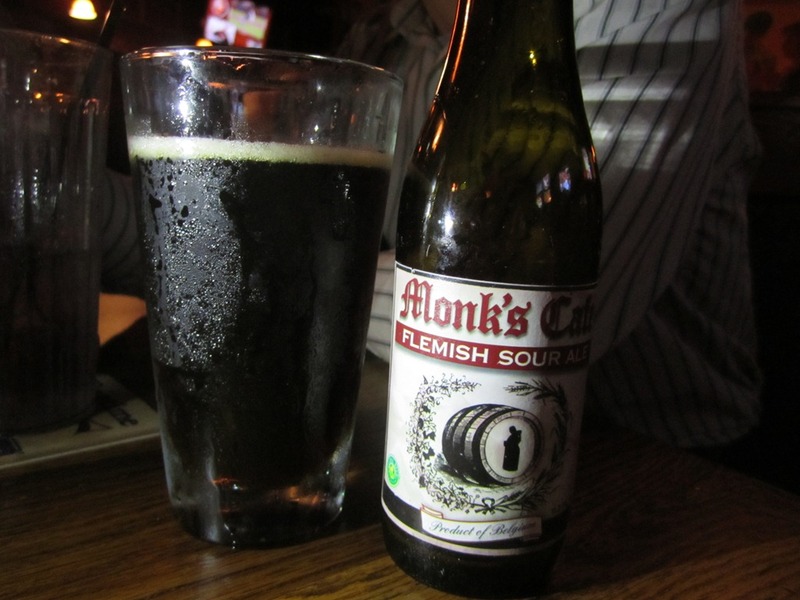 I recently found out that this beer is brewed specially for the bar in Philadelphia called Monks Café. I’ve never been there, but just by the name it sounds like a must if you are hitting up Philly! 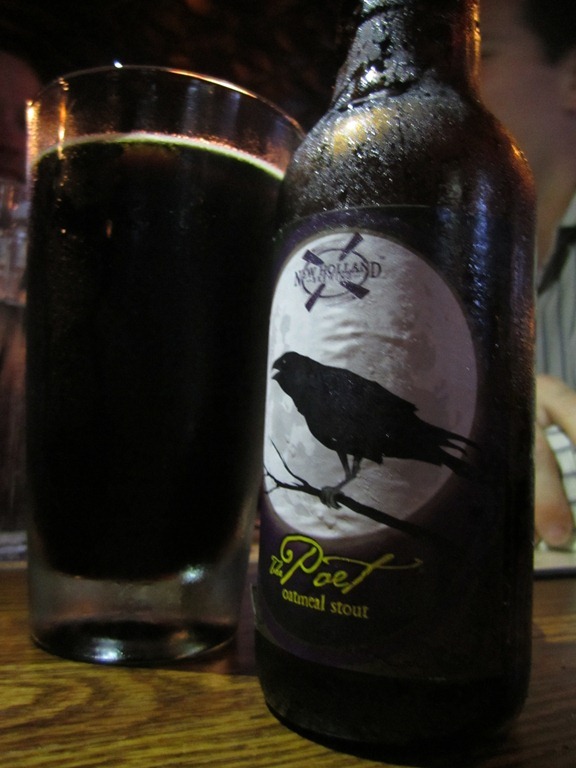 And next up was The Poet by New Holland Brewery of Holland, MI at 5.2% abv. The Poet was good. Creamy and smooth. Very light on the hops so its also not very bitter. Plums and nuts and earthy leather. Reminds me of late fall weather I can get all of my favorite beers easier! Since my parents were in town, we decided to make a day of it! After checking out the Civil War Art exhibit at the National Portrait Gallery, we walked down the street in Chinatown to have lunch and beers at RFD’s. 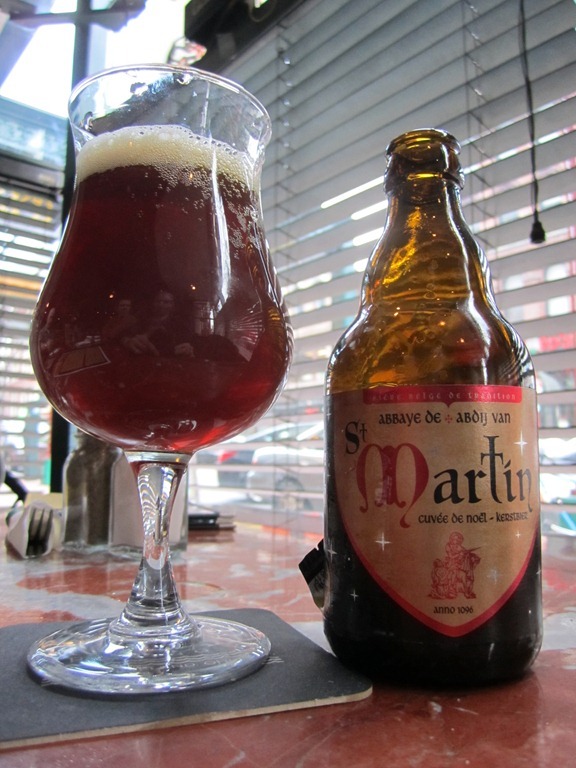 I started off with St Martin Brune by Brasserie De Brunnehaut of Brunnehaut, Belgium at 8% abv. A very good way to start off the afternoon. Dark fruit and sweet, lots of plums, dates and cherries. Candied sugar and caramel. Not a very heavy beer, bubbly and just seemed a bit thin going down. But easy drinking and didn’t fill me up before lunch! Next I got the Monk’s Café Flemish Sour Ale by Brouwerij Van Steenberge of Ertvelde, Belgium at 5.5% abv. I’m always happy to have a sour beer. There is never a bad time for one! They are light and refreshing, and have a fairly light alcohol content, with more flavor, depth, and sour goodness than any other type of beer I can think of. Light, effervescent carbonation, and a tang of sweet and sour apple cider vinegar. Dominant yeast flavor, chewy malt bready body. Not overpowering, very well balanced. 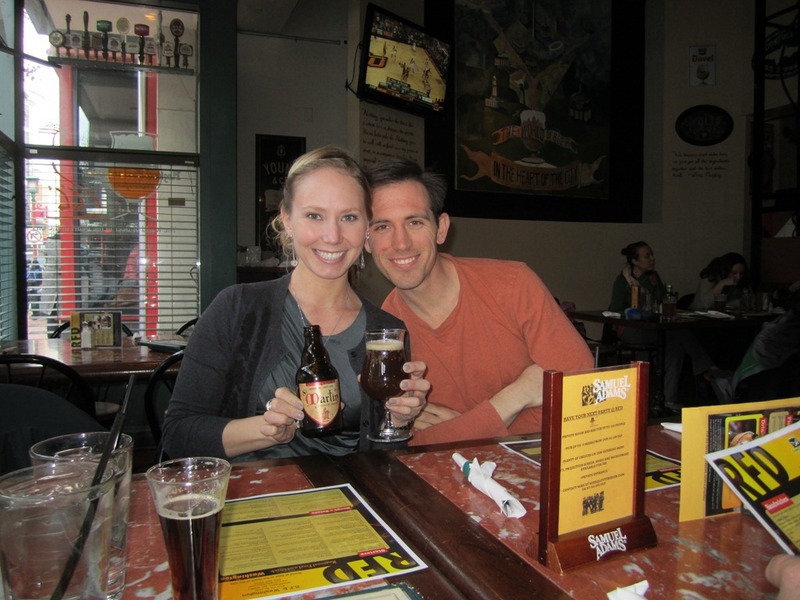 My parents enjoy drinking beer too and kept me fairly busy helping them with suggestions for new beers to try! 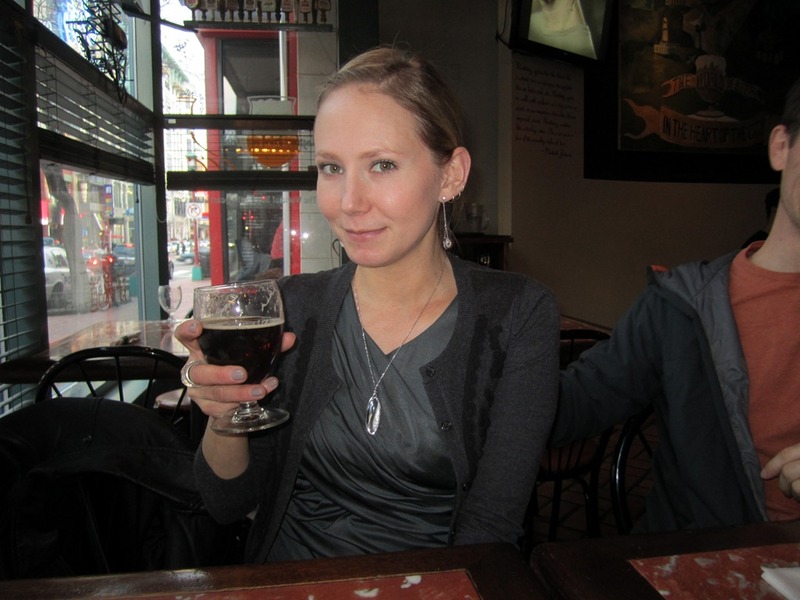 RFD’s worked well for my mom because they also offer their draft beers in sample sizes. 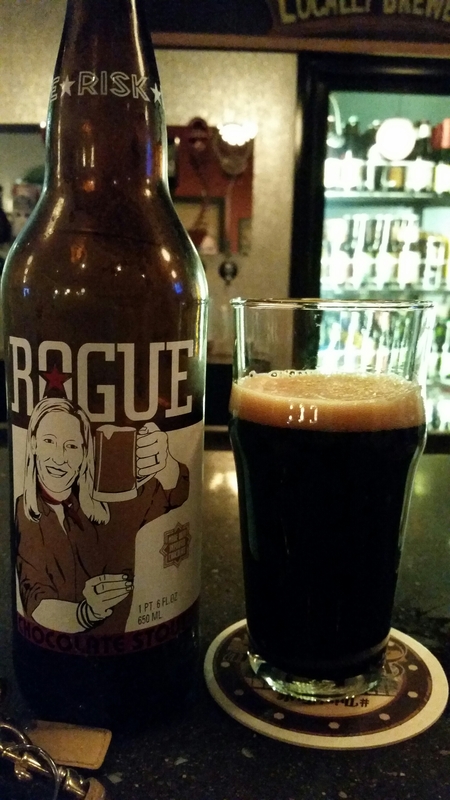 So she was able to try very different things without feeling too committed to a whole beer.